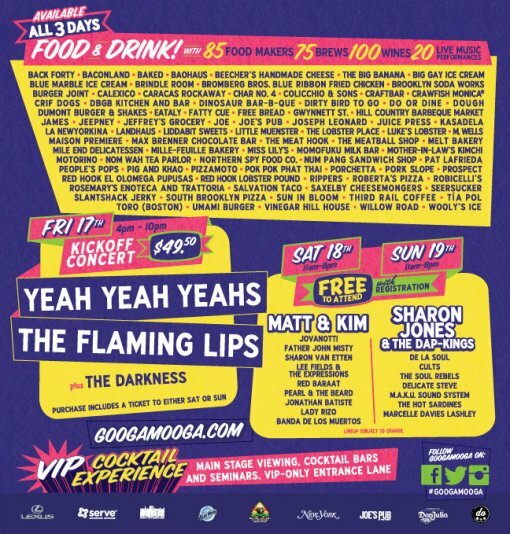 Great GoogaMooga is back! Launching Friday, May 17th, with a kickoff concert, Great GoogaMooga will transform Prospect Park into an amusement park of food, drink and music all weekend long. Eat and drink your heart out; there will be 85 top New York restaurants, 75 brews and 100 wines. Full Great GoogaMooga 2013 lineup after the jump.